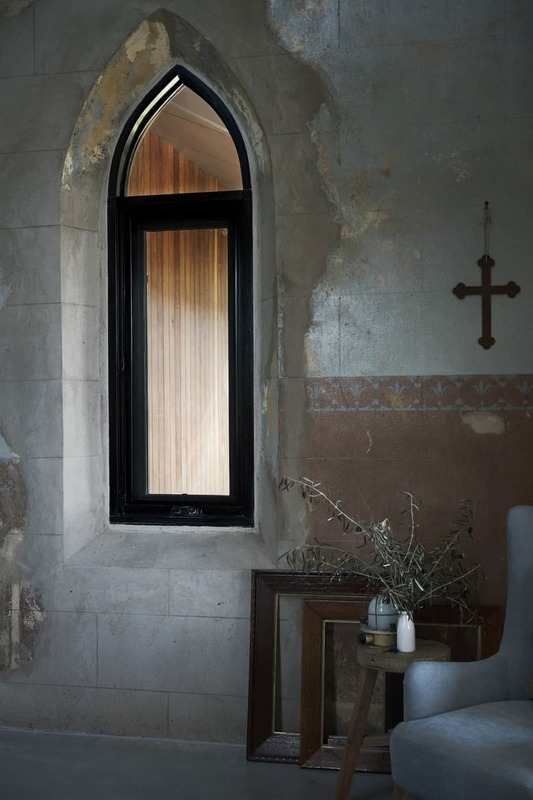 A church renovation seems to be universally of interest to many lovers of history and architecture. 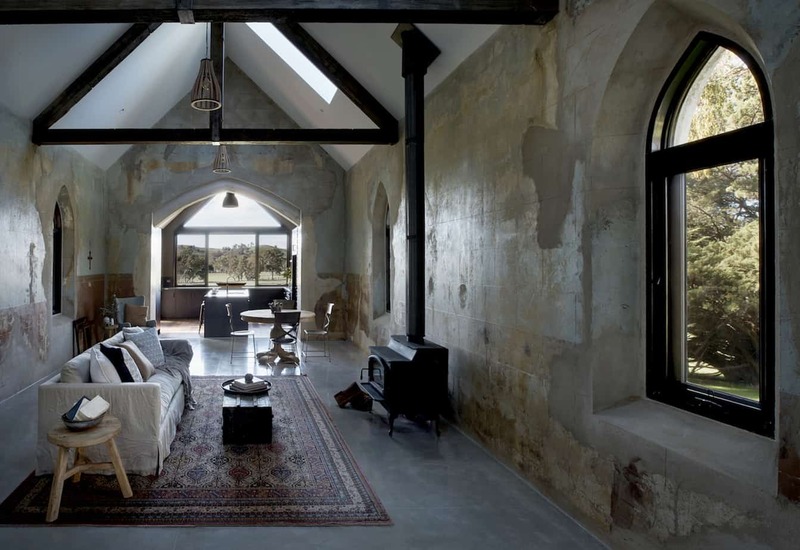 In the Central Highlands of Victoria (Australia) a church built in 1884 has been spectaculalry restored to an award-winning home. 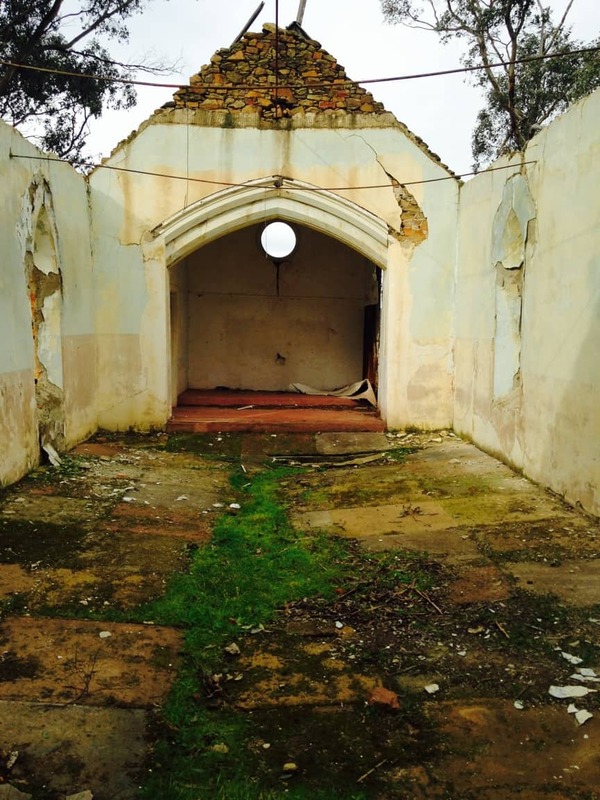 Originally built by Giacomo Sartori in 1884, the beautiful little church at Yandoit, Victoria, fell into disrepair. The church, positioned with sweeping views of lush vegetation and undulating hills, required care and vision. The church renovation was a major project so the property was acquired by a local builder with the skills to bring harmony and sympathy. 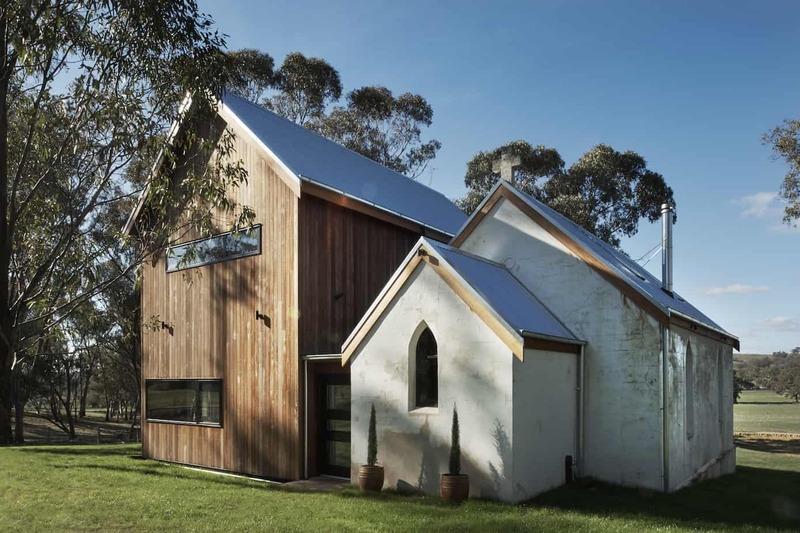 It was decided to restore the original church and add a two-storey addition thus transforming the building into a stunning and modern family home. 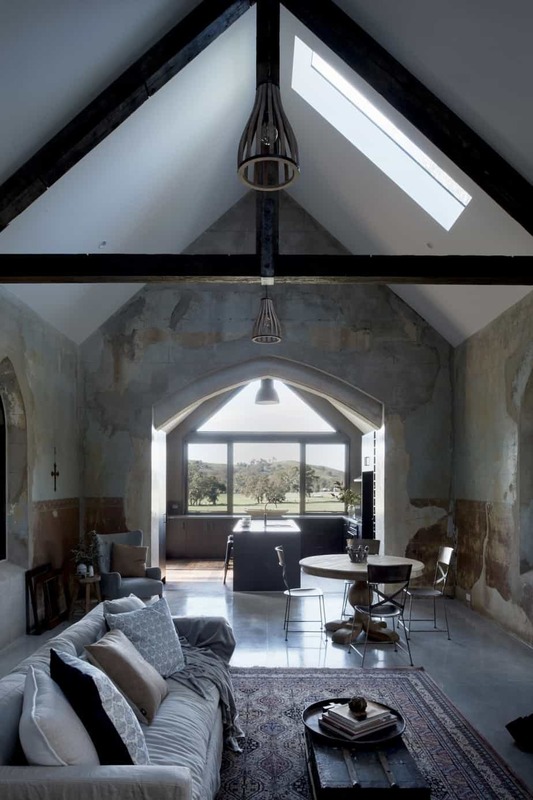 Restoring the church as a focal point was a key element of the design brief as well as maximising the sweeping views. 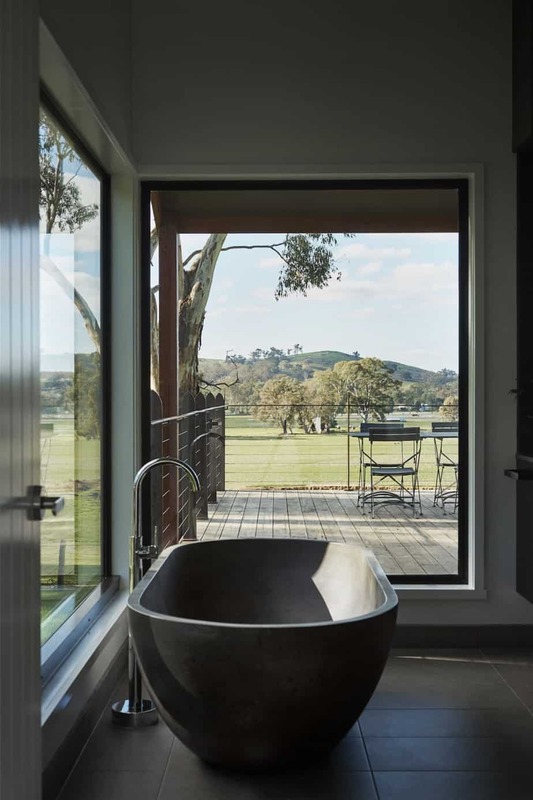 Sustainable and recycled products were used where possible to retain the historic and rustic elements. 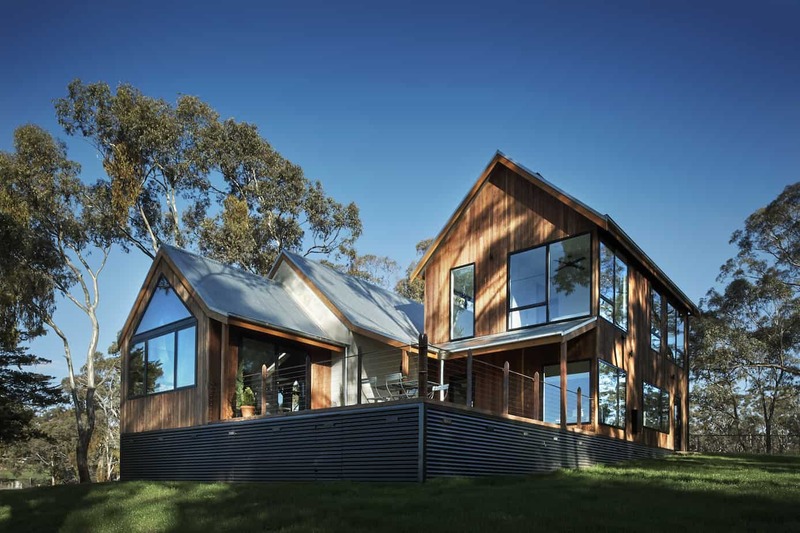 Recycled bridge beams were used in the main room (being the original church) and sustainable ironbark from drought-affected trees was used for much of the exterior. In keeping with the ecological desire a sand filter septic system was installed. All windows from the original church were restored and fitted with Stegbar western red cedar window frames. 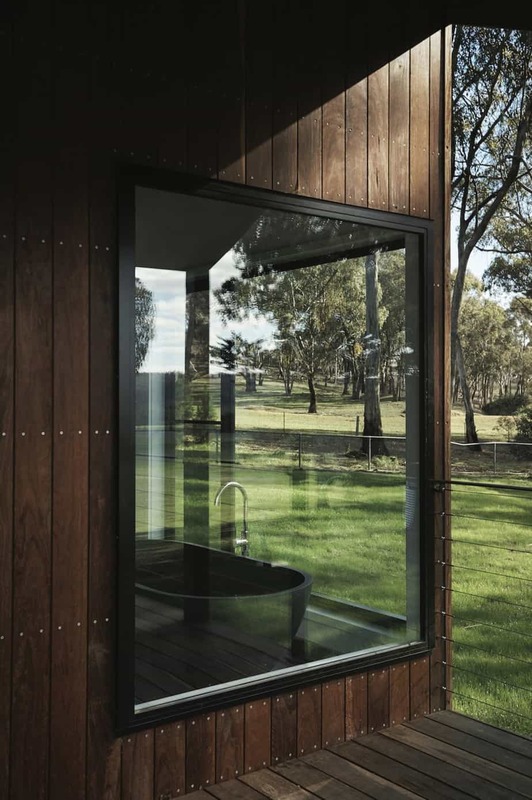 In keeping with the rustic design aesthetic, western red cedar is harvested from sustainable forests and is naturally resistant to termites, decay, and rot. Whilst the original church featured small Gothic arched windows, the new addition was created to flood natural daylight into the house. 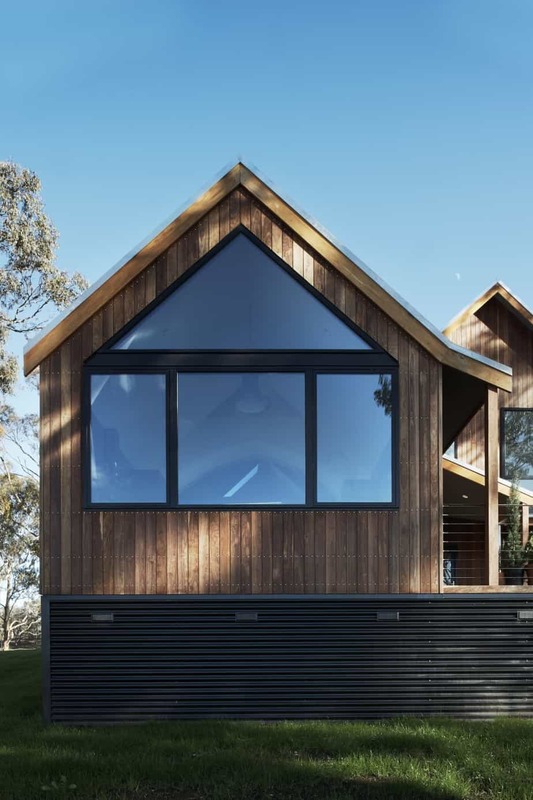 In addition to the custom and sustainable building materials, Stegbar aluminium awning, casement, and fixed windows, as well as hinged and sliding doors were used. 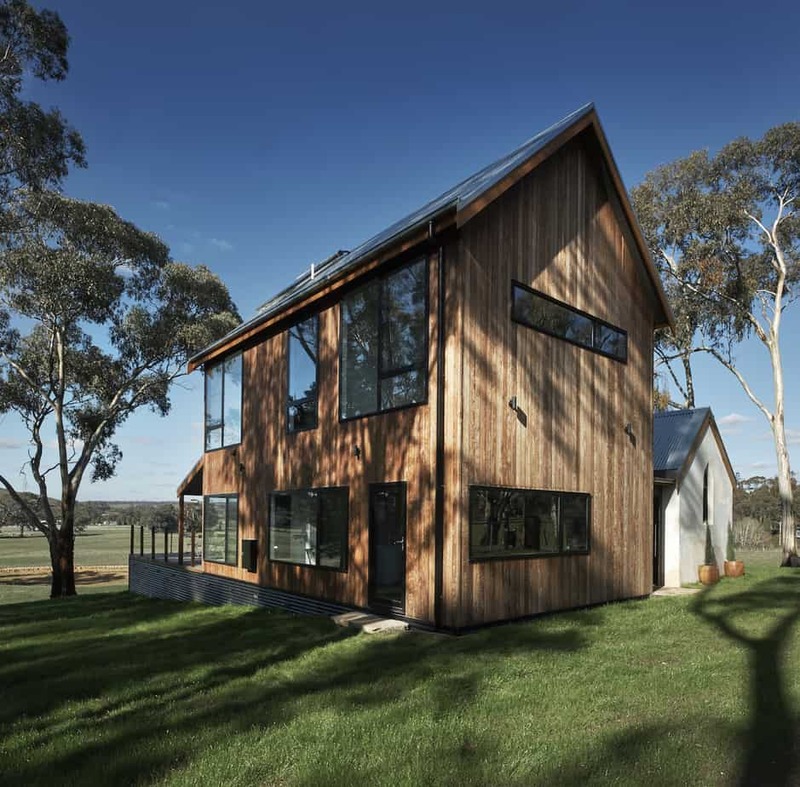 The home has a beautiful northerly orientation so large windows were placed on the northern side allowing the home to fully utilise passive solar heating in winter. 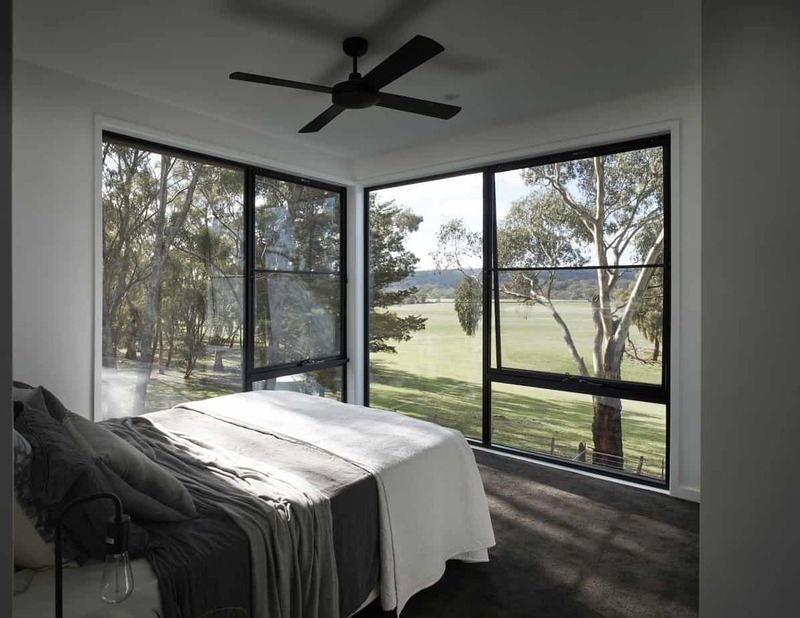 Given the cold weather conditions of the local area, the windows are double glazed, WERs graded, and are rated up to 62% better at retaining heat than standard three millimetre aluminium framed windows. 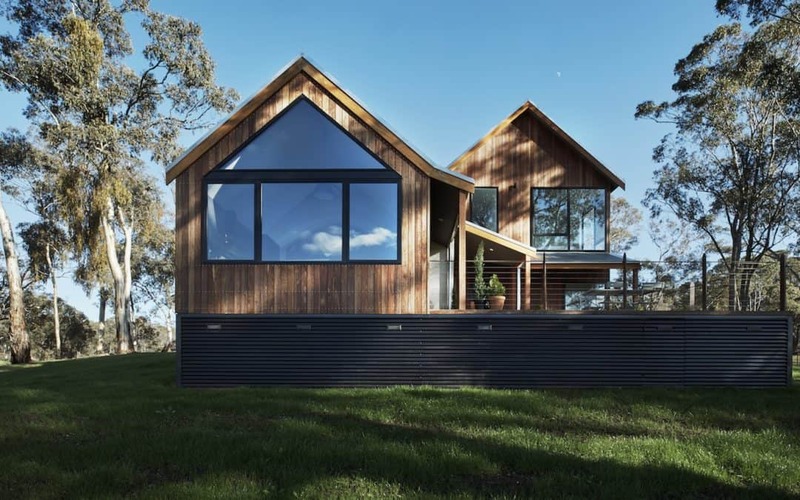 Aesthetically pleasing, the choice of awning, casement, and fixed windows also contributes to keeping the home warm in winter whilst also being sustainable. 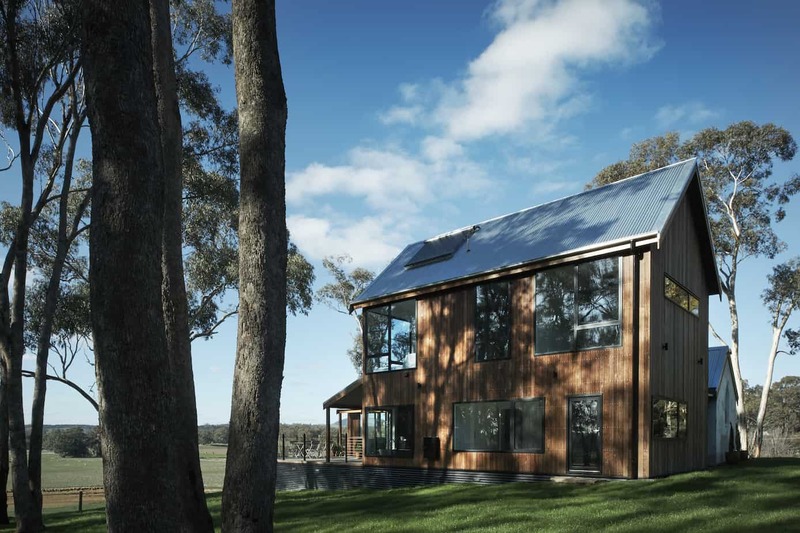 The result is an award-winning home that seamlessly integrates high-quality materials and a modern design sensibility with heritage finishes. Of course, windows also need to be cleaned so check out our window cleaning tips. 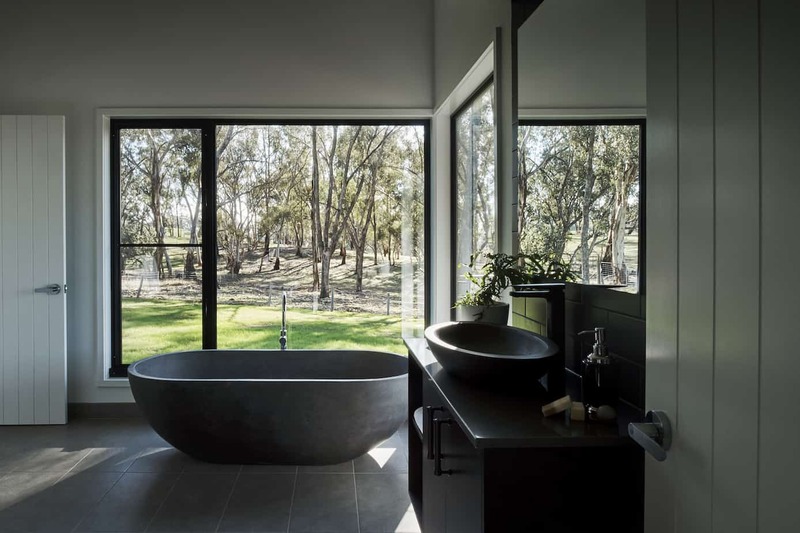 Now referred to as Giacomo Yandoit house, this award-winning project seamlessly integrates high-quality materials and a modern design sensibility with heritage finishes. 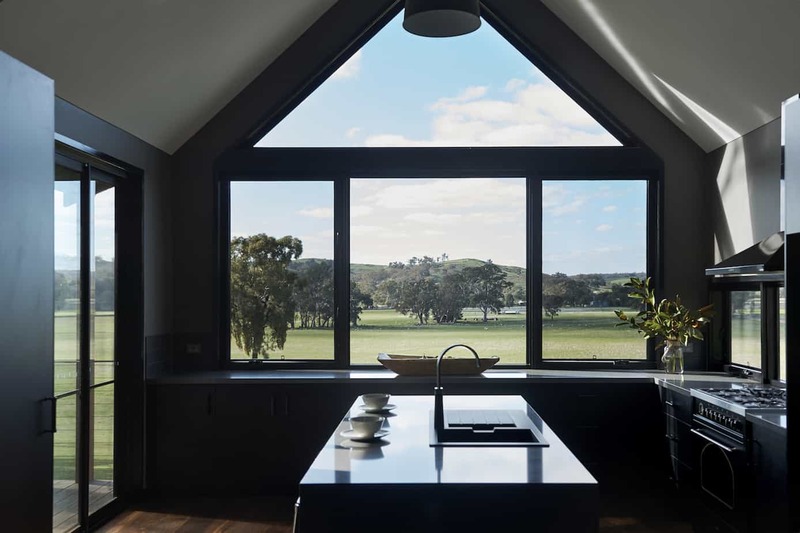 Recognised as an outstanding example, this church renovation was awarded Best Use of Windows and Doors in a Residential Renovation at the 2016 Australian Window Association (AWA) Design Awards.